Israel-based maker of wee PCs, CompuLab, has said it will ship an even more tiny machine in April. 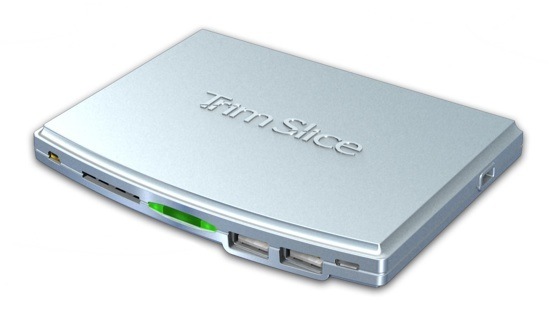 The Trim-Slice's 2.5in HDD-like dimensions are all due to Nvidia's Tegra 2 system-on-a-chip. Of course, being ARM-based, you won't be running Windows on the Trim-Slice - not yet, at any rate - and Linux-on-ARM is at a relatively early stage in its development. But that's something CompuLab hopes Trim-Slice will help accelerate. And there's always Android, of course. Trim-Slice measures a mere 130 x 95 x 15mm - less than a tablet and not much bigger than a phone. Inside it crams in said SoC plus 1GB of 800MHz DDR 2 memory and has room for a 64GB Sata SSD. Outputs? HDMI for the display, analogi and SPDIF audio, Gigabit Ethernet for wired networking, and a quartet of USB 2.0 ports. There's also an RS-232 serial port for geeks of a certain age. 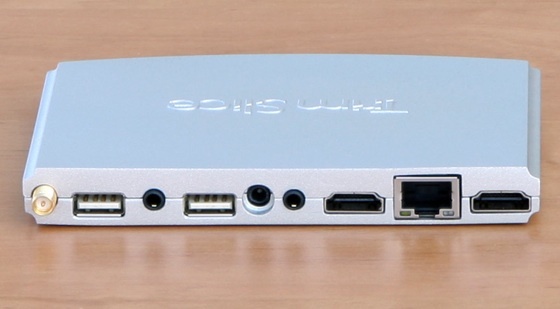 The sliver-like computer has on-board Bluetooth and 802.11n Wi-Fi.